DENMARK: Siemens has confirmed it will supply its new gravity-base foundation and 66kV solution to a 28MW pilot project in Denmark. Siemens will install four 7MW turbines at the Nissum Bredning project in north-west Denmark following a final investment decision by the developers. "The commercial aspect of the offshore wind technology to be tested in the project is expected to show a significant positive impact on the levelised cost of electricity," Siemens said. 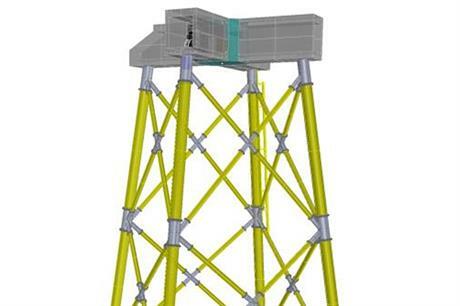 The machines will be installed on Siemens' new foundation design; a hybrid gravity-base jacket structure that was unveiled by the firm's offshore CEO Michael Hannibal at the Global Offshore Wind event in Manchester, UK, in June. The new concept hybrid design incorporates a prefabricated jacket supporting a concrete gravity-base section and transition piece. "We're combining gravity base... with the jackets. Then we have turned it upside down, putting the gravity part on top," Hannibal explained in June. The original design also includes suction buckets at the base of the structure. However, Siemens said suction buckets would not be used at the Nissum Bredning site due to soil conditions, and it would have shorter legs because of low water depths. "Foundations haven't been as aggressive in innovation as turbines. Of course, we have looked at it to see how foundations could be industrialsed, and now we design them for industrial production," Hannibal explained in June. 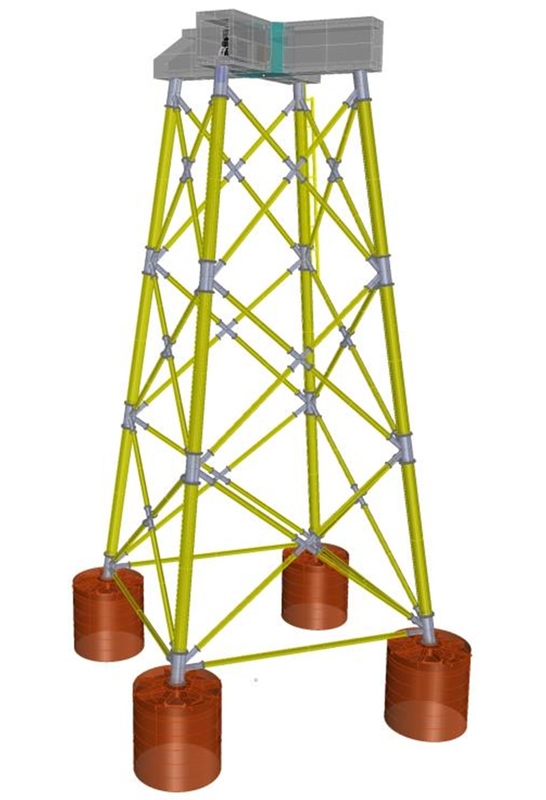 The manufacturer also said the Danish pilot project would use a new 66kV system, including "a new transformer, cable and switchgear systems" and a lightweight tower. Nissum Bredning is being led by Nissum Bredning Vindmollelaug and Jysk Energi won a DEA tender to install a project using innovative technologies. It will be supported by a guaranteed feed-in tariff of €0.09/kWh for the first ten years. Installation and completion is expected by Q3 2017.